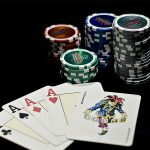 Home / BlackJack / Why does size deck matters in BlackJack? Why does size deck matters in BlackJack? 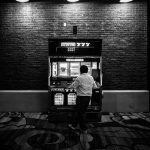 If you ever find yourself in a casino, it is always a good idea to explore games that can give you the chance of winning big. 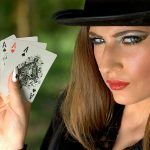 If you are the type of gambler who loves to use strategies rather than just pure luck, then poker and Blackjack is for you. 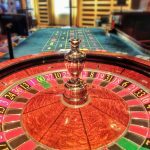 On the other hand, if you are the type who loves to just enjoy the games, then maybe you can go for roulette. Does size of the deck really matters? Blackjack is a popular game in both online and land-based casinos. However, a lot of people have been asking about ways on how they can maximize winning in this game. A lot of times, gamblers say that the size of the deck matters in Blackjack. If you are a professional gambler, you need to be able to determine these small details in order to maximize winning the games. But does it really matter? 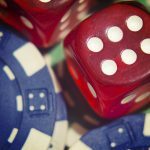 Let’s look at the odds and how it can affect your overall game. First, we all know that there are 52 cards in one deck. The number of aces in a deck is 4. You have 1/13 chances of getting an ace card. On the other hand, in a 52 card deck, there are sixteen cards that has worth of ten points. You have four tensm four jacks, four queens, and four kings. That is a 16 of 52 odd. The probability of drawing a black jack in a deck is at 4.83%. Now let’s look at a two-deck game. It is important that we look closely at the numbers again and compare the difference statistically. This will give you an idea if the size of the deck really matters if you are playing Blackjack. Instead of 52 cards, you are dealing with 104 cards. That means that you will have a chance of getting 8 aces and 32 ten point cards. If you will look at the numbers, the chances of getting a Blackjack are at 4.78% if you are using two decks. Using this data, it means that you have decreased your chances of getting a Blackjack by 0.05%. It is a small difference, but for the professionals, it is something that matters. If you are going to play in a casino, it is usually a good thing to start with those that offer a single deck game. This increases the odds of winning. However, don’t expect that there is the same pay as the one you get when you are playing two decks. It is a common scenario wherein the traditional 3:2 pay isn’t available in a single deck set up. 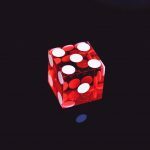 If you ever find yourself playing games in a casino, it is always a good idea that you turn to books and read information online that give you the idea how to bend the rules and use every advantage that you can muster against the casinos. By taking note of these slight differences, you will know your chances of winning. However, are you willing to sacrifice a smaller pay for a 0.05% edge? Is it really something that makes a huge difference?